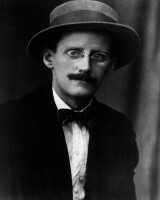 James Joyce 2 February 1882 13 January 1941 Irish John Stanislaus Joyce Mary Jane Murray Author, Novelist, Poet Irish novelist and poet, he best-known for Ulysses(1922). Joyce contributed to the modernist avant-grade and is regarded as one of the most influential and important authors of the 20th century. A list of popular james joyce quotes are given below.